Encrypted text using 256-bit DES encryption. Both formats allow saving Salesforce and database credentials — passwords are always encrypted. A CopyStorm/Restore session can be completely restored using the File / Open operation. The plain-text XML version of the file is not intended to be edited by hand, as it is fairly complex. 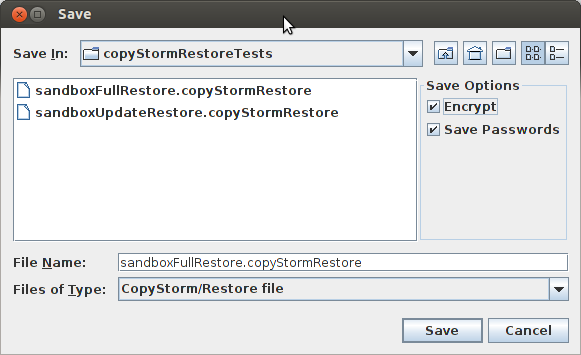 If problems arise from hand-editing a configuration file, Capstorm may not supply support.